Some people look at kittens, some people look at shoes but when I'm feeling down in the inspiration dumps, I tend to seek out colour and pattern. 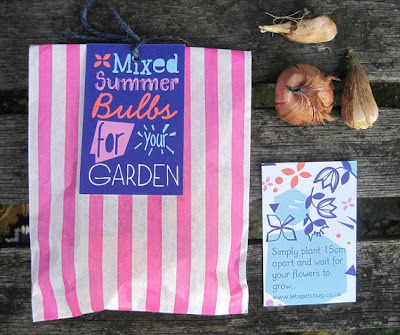 That's why I've got Print and Pattern bookmarked: a blog that simply flags up the brightest and most interesting pattern designs across the high street and independent designs. 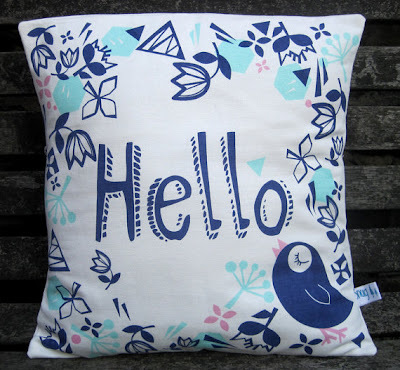 It's through them I discovered the Newcastle/London based Hannah and Sarah of Snug Interiors whose fun homeware designs are available through Etsy. Cute animals, pretty colours and even more tea towels, cushions and canvas bags to clutter up your home: there's a lot here to lift the spirits when you are feeling a bit down. This Hello Cushion would be just the thing to cheer you up when you come in after a hard day's work. With that bird, it's definitely tottering towards the twee but (I'd like to think) it's rescued by the bright colours and shapes. It costs a bargain £18.31. 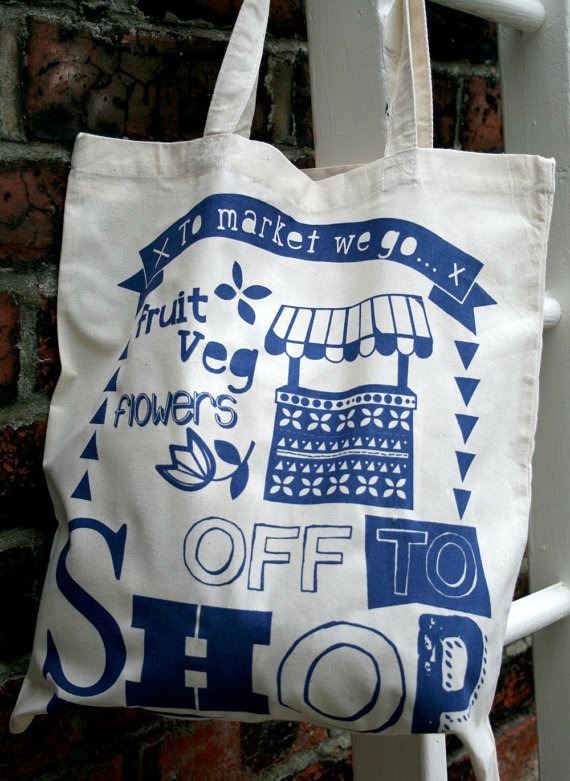 Another canvas bag to carry to the shops with you? I'm sure you already have more than enough, but do you have any that are both as pretty and fit for purpose as this Off to shop tote? It's only £7.19. 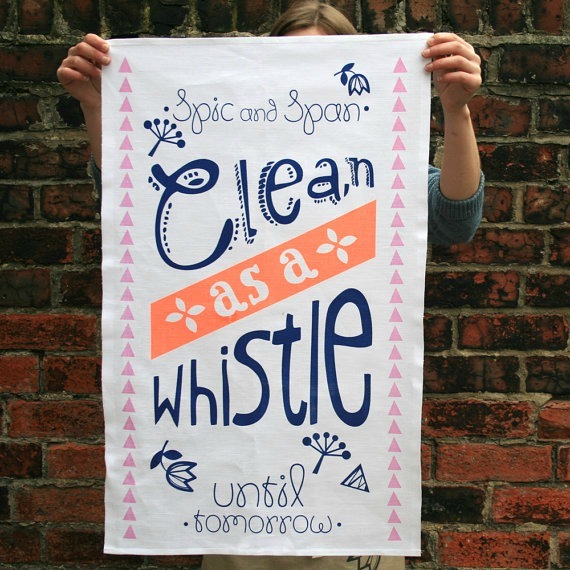 A sneaky addition to Tea Towel Tuesday is this Clean as a Whistle design. Clean until tomorrow is something I fully understand - in my case, it's more like until I knock my wine glass over five seconds after I've finally finished clearing up. This tea towel might also help with such spillage issues. It's £9.81. 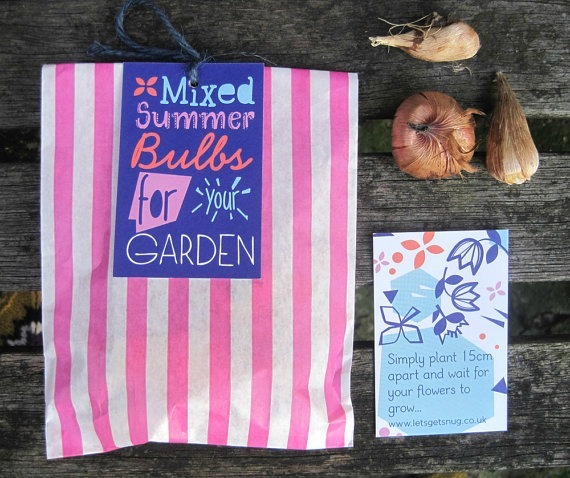 The duo have also applied their design skills to some cute packaging, such as these summer bulbs which will set you back just £3.29. For more of this kind, take a look at their shop: Snug Interiors have lots of things that will keep you snug, smug and happy.